During the course of processing your application, we accumulate non-public personal financial information from you and from other sources about your income, your assets, and your credit history in order to allow a lender to make an informed decision about granting you credit. We restrict access to nonpublic personal information about you to those employees who need to know that information to provide products or services to you. We maintain physical, electronic, and procedural safeguards that comply with U.S. federal regulations and G. D. P. R. (General Data Protection Regulation) to guard your non-public personal information. We collect non-public information about you from the following sources: (i) information we receive from you on applications or other forms; (ii) information about your transaction with us our affiliates, or others; and (iii) information we receive from a consumer reporting agency. We do not disclose any non-public information about our customers and former customers to any third party, except as permitted by law. To protect the confidentiality of your information and online transactions, we encrypt that information using Secure Sockets Layer (SSL) technology, the highest industry standard. In addition, our online application process logs and attaches the IP address of your computer to your loan application. This is done for your security and protection. You may opt out of any future contacts from us at any time. You can do the following at any time by contacting us via the email address or phone number provided on our website: See what data we have about you, if any. Change/correct any data we have about you Have us delete any data we have about you. Express any concern you have about our use of your data. At MH Loans, customer service, trust and confidence is a high priority. that is why we welcome this opportunity to describe our privacy policies, the steps we take to protect and maintain your information and to let you know how you can choose how your customer information may be shared. We collect personal information from customers and maintain former customer records to: We will gather and disclose personal information only as allowed by law. We maintain rigorous security practices to safeguard your personal information. We are committed to delivering quality financial services that meet your needs. If we do not offer a particular financial product or service, we may, from time to time, join with carefully selected financial partners to offer that product or service to you. We will not disclose personal information about you to offer non-financial products and services. We believe that you are entitled to meaningful choices about how personal information about you will be disclosed. How Does Internet Browser Security Work? We collect and keep the contents of email you send us in addition to your contact address and our response. This enables us to respond to your requests and questions. Email sent to us should be used for inquiries that are not sensitive or confidential as regular, non-encrypted Internet email (the email we use on most of the site) is not secure. If we need information beyond your name, address, email address and phone number, we will provide you with a secure email form. We will never request that you confirm your Personal ID, account numbers, Password or other sensitive information via email. The General Data Protection Regulation (GDPR) takes effect on May 25, 2018. This regulation standardizes data privacy laws across the European Union (EU). If you are within the European Union, you are entitled to certain information and have certain rights under the General Data Protection Regulation. Those rights include: Right of Access: Find out what kind of personal information is held about you and get a copy of this information. Right of Rectification: Ask for your information to be updated or corrected. Right to Data Portability: Receive a copy of the information you’ve provided under contract so you can provide it to another organization. Right to Restrict Use: Ask for your personal information to stop being used in certain cases, including if you believe that the personal information about you is incorrect or the use is unlawful. Right to Object: Object to use of your information where a party is processing it on legitimate interest basis, and object to have your personal information deleted. Right to Erasure: Request that your personal information be deleted in certain cases. To the extent that you provided consent to the Company’s processing of your personal data, you have the right to withdraw that consent at any time. You have the right to lodge a complaint with a supervisory authority that has jurisdiction over issues related to the General Data Protection Regulation. In Park Lending offers the most competitive rates in the manufactured home lending business. Finance the purchase of your mobile home, or refinance your existing mortgage with us! We are known for the best service and overall experience in the industry. Providing affordable financing for your mobile home is something we take pride in at In Park Lending. With personalized service, we make the loan process as simple and smooth as possible. In Park Lending is the premier financing source for manufactured and mobile homes. Our Loan Officers have several years experience originating manufactured and mobile home loans. Over the years, we have very seldom advertised. Our clients come to us by word of mouth from our builder and realtor referral partners. We have gained the confidence of these sources through our consistency of providing best in class service, and our honest and reliable mortgage professionals. If you own or are purchasing a manufactured or mobile home, please call us today to learn more. Your happiness is our #1 priority! We are able to offer our manufactured home customers who wish to refinance their current loan some of the lowest mobile home loan rates in the nation. We also offer mobile home financing to qualified consumers who wish to purchase a mobile or manufactured home with as little as 5% down. 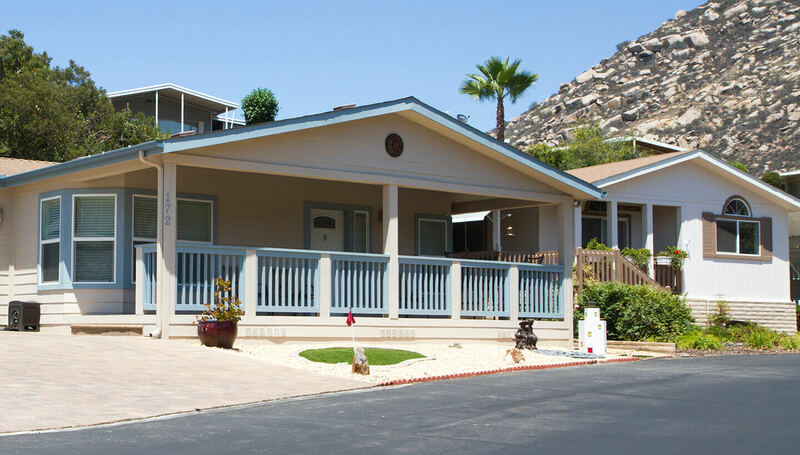 Our qualified staff, with over 20 years of experience in the manufactured home industry will walk you through every step of the mobile home loan process. In Park Lending strives to provide affordable mobile home financing options to first time buyers and existing manufactured homeowners. We utilize the latest technology and deliver educational resources to our customers in an effort to simplify the mortgage process. We want our customers to have the confidence and security of knowing they’ve made an informed financial decision about their home loan. We’re committed to providing consistent and dedicated service that meets all of our customers’ needs with a personal touch. If you're looking for mobile home financing for a new purchase or if you're looking to refinance your current manufactured home loan your search is over. Let us assist you in reaching your homeownership dreams! If you're looking for a mobile home loan to lower your monthly payments, pay your loan off quicker, our loan officers is standing by to assist you. Ready to start your quick and easy online loan application? 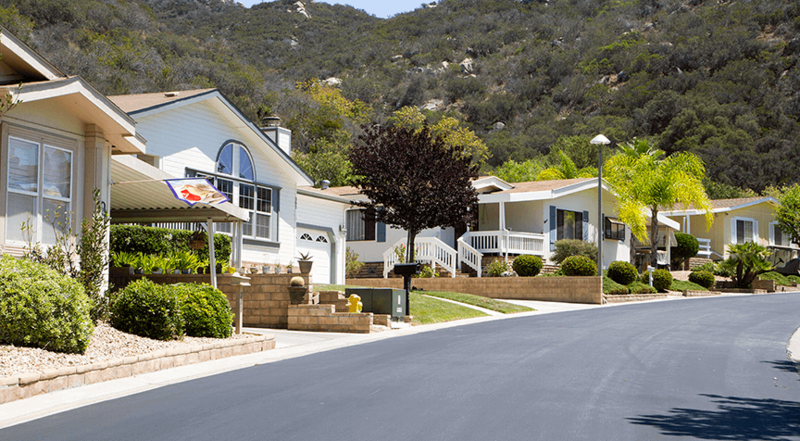 At In Park Lending, we specialize in mobile and manufactured home financing and refinancing. We work primarily in manufactured home communities or on land where the home and the land are financed separately. Our seasoned professionals can structure customizable financing terms to help its borrowers achieve their mobile home financing objectives. If you're looking for mobile home financing for a used manufactured home loan, you have come to the right place. The staff at In Park Lending has a thorough understanding of the best mobile home financing programs available. Our staff prides itself on offering the highest level of customer service to every client. When you refinance your mobile home loan, you will lower your interest rate and pay less for your mobile home loan. Most of the money you pay out to the bank for your current mobile home loan goes towards interest only. When you refinance your current mobile home loan, you will keep more of your money in your pocket where it belongs. Your manufactured dream home is a big decision and a big purchase. Let us help you finance your new manufactured home and put you into easy, affordable monthly payments that won't overburden your family. Our staff is one of the oldest and most trusted in the manufactured home industry. Our goal is to be the friendliest, hardest working, service-oriented company in the business. Quick approval process with the customer service you deserve. Work with one point of contact through the duration of the process. Your staff’s attention to detail was spot-on and the entire process was completely painless from our end. That’s what we call customer service. It’s the first week in our new manufactured home and we wanted to thank you and let you know how much we appreciated all your hard work. Everything went so smoothly and quickly every step of the way. From our first phone call we knew we had made the right choice with you and your team. I want to personally thank you for the exceptions that were made on my case for refinancing my manufactured home. You went above and beyond in helping me and my wife. We were previously turned down by two other mobile home lenders who would not take the time to let us explain our situation. I highly praise you and will refer you to my friends and family. You're great !!! - Jim & Nancy I. Contact us today! We're just a click or a phone call away. Our goal is to give each and every manufactured homeowner the best possible customer service.